Have you ever thought how many prospective clients your business can lose only because your company website has a poor design or an awkward navigation menu? Even if you know that your company provides the best services ever, at the lowest costs, your website visitors don’t. It is your primary task to grab their attention and don’t let them leave. That is the only way to introduce your company, earn trust, and finally get another client. Correct me if I’m wrong, but your website is not the only one in your niche. You have to compete for every client. And what can be worse than your prospective client leaving for your competitor because you did not pay due attention to your company website design and navigation? If a company website is an eye candy and its design is up to date, such site is more likely to earn visitors’ trust. Would you trust a company with a website, that was already outdated years ago? I bet you won’t. You will decide that this company is either dead or cannot afford a decent website. The first step to garnering trust is to make your site appear legitimate and professional. World’s top companies like Nike or Coca-Cola can afford spending thousands or even hundreds of thousands of dollars on their websites. But what can you do if you can’t afford such investment yet? The good news is that you don’t have to spend thousands of dollars to get a website, that will be both attractive and easy to navigate through. We’ve got you covered! Website templates from TemplateMonster are designed to maximize the visual part of your company’s website. With best user interface practices implemented, your visitors will be able to navigate through all the sections of your website at ease, instantly finding what they need. 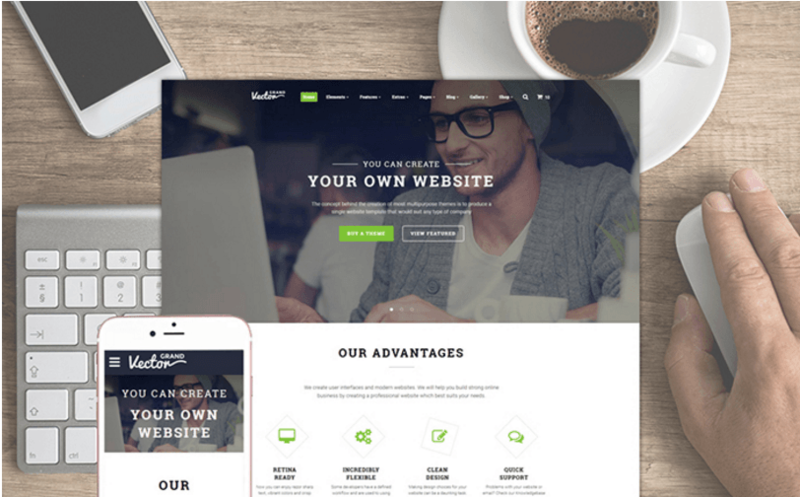 I want to introduce you 15 top-notch website templates, that will help you power-up your business online. Hosting Responsive Website Template is highly valued for its clean and neat design. It is a perfect match to list your services, exclusive offers, and user testimonials. As for the navigation menu, it is always easily accessible to your visitors as remains fixed-to-the-top of the page at all times. 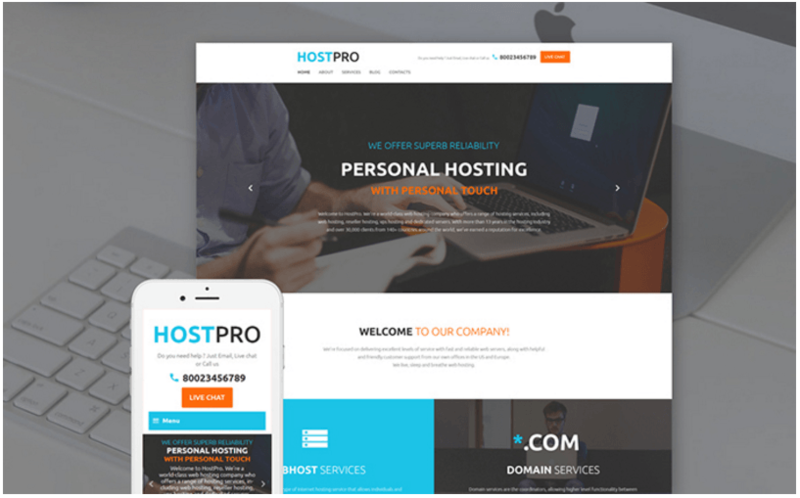 Designed with needs of internet service provider companies in mind, this template is mainly focused to earn trust. 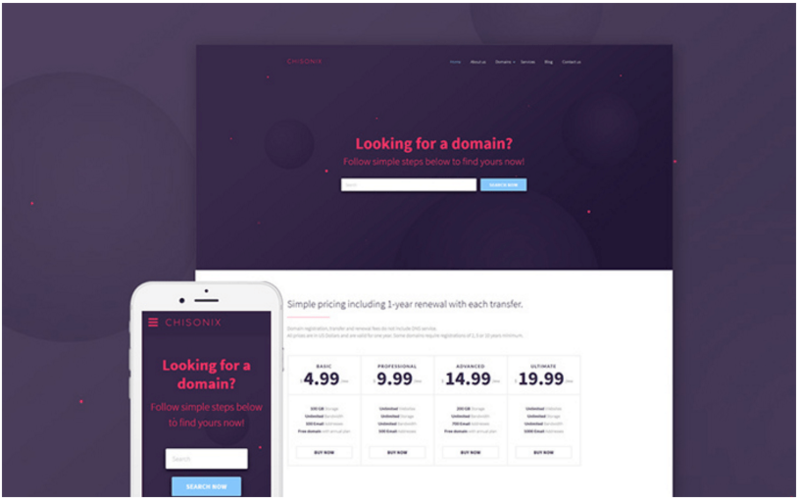 Clam colors and best matching typography will let you introduce your company in the most efficient and elegant way. 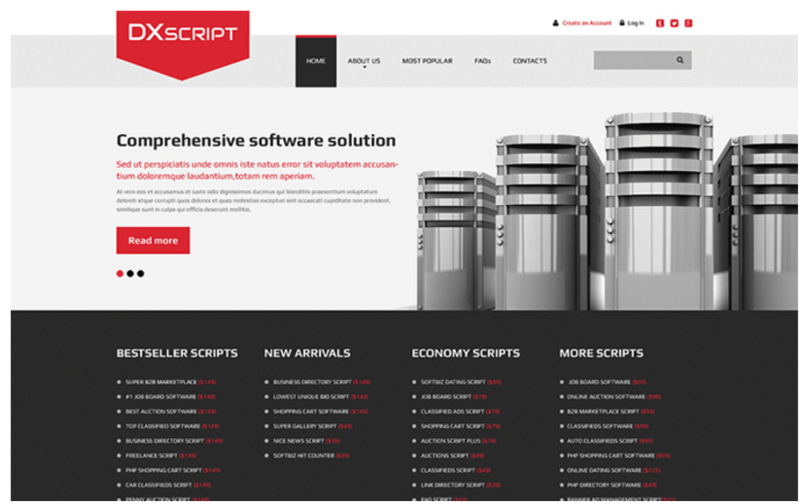 This website template is a perfect choice for a small software company. Its state-of-the art design will add a lot to the image of your modern, up-to-date company. Software company cannot afford a slow or poorly performing website. 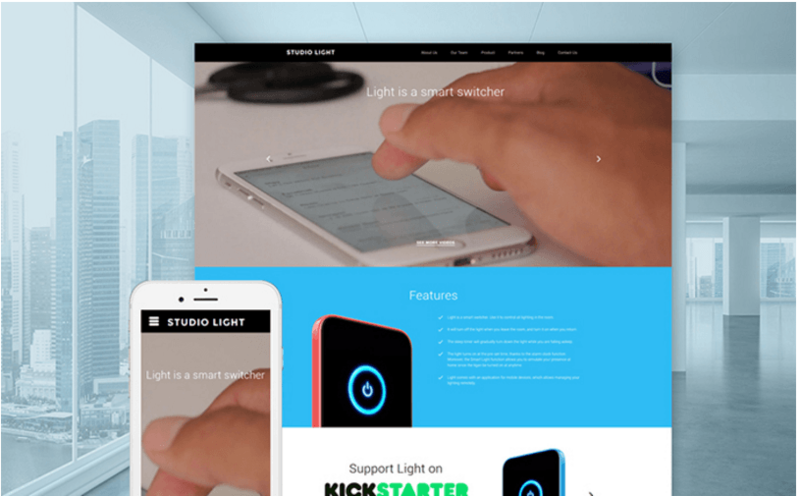 This template guarantees top-notch performance of your website across a variety of devices. A full-width slider in the theme’s header will instantly grab your visitors’ attention to the services you offer. 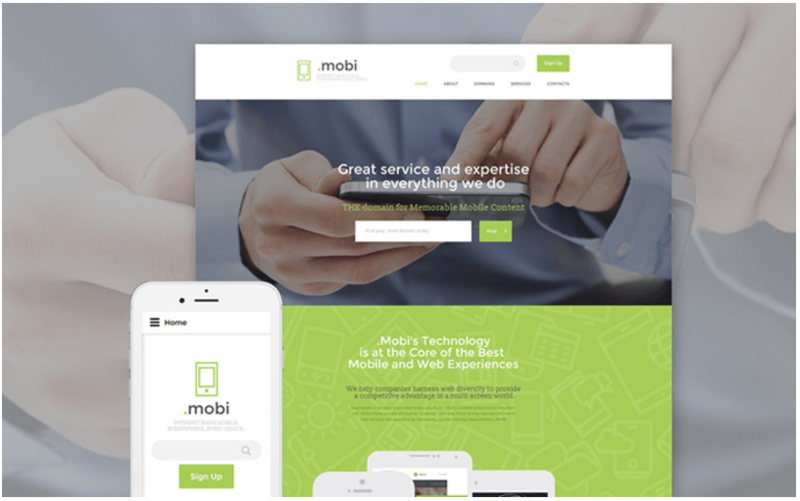 This template was initially crafted for mobile content domain companies. However it proved to be a perfect fit for IT specialists, Internet providers, and mobile connection companies. 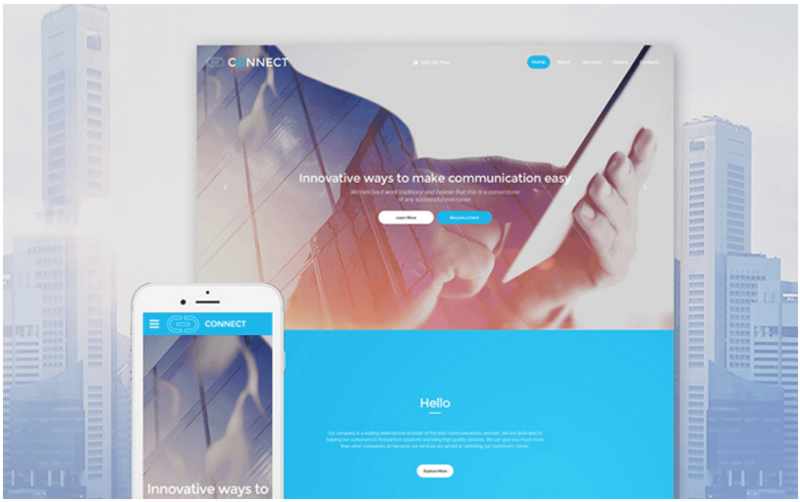 Its modest flat design and built-in online chat will help you earn trust and build communication with your prospective clients. Without further ado, this template looks really professional. It will help you build awareness of your reliable company in the first place. 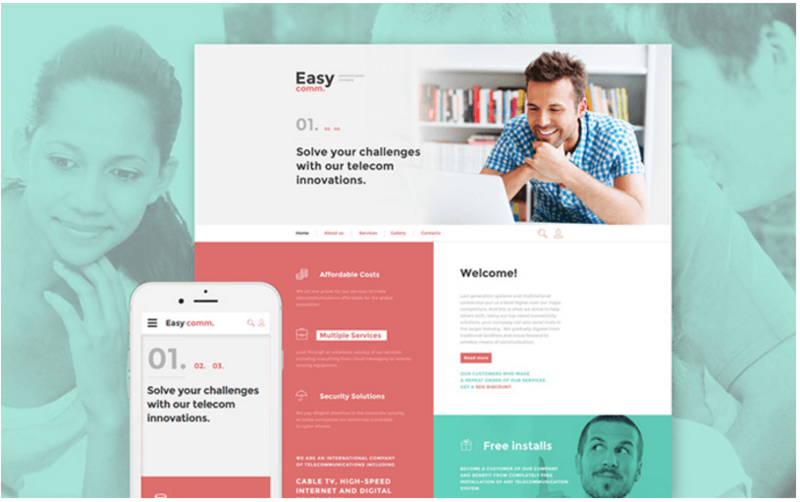 This template was specifically designed with needs of telecommunication companies in mind. 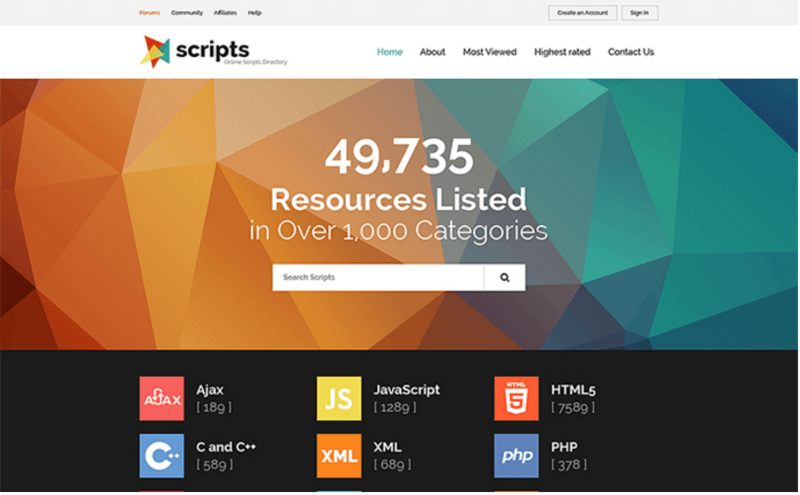 It allows you to present your services and costs straight from the front page in a neat and elegant way. Special attention has been paid to website navigation bar. 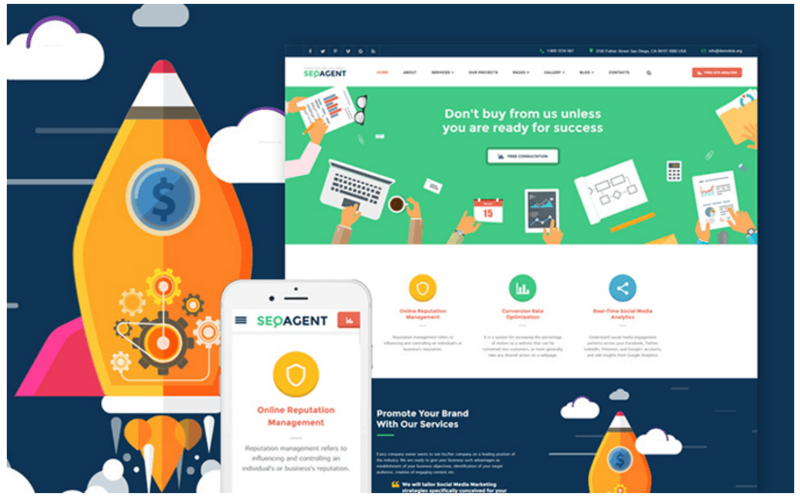 Built in flat designs, this SEO responsive website template will grab attention of your visitors instantly. It is quick and easy to scan. A wide range of customization in this template is able to satisfy needs of even the most demanding companies. Hosting Bootstrap Template includes a large number of actionable marketing tools and components. You can easily create well-converting landing pages and efficiently optimize other pages of your website. The template already includes pricing tables, skill counters, testimonials, service blocks, and working forms. 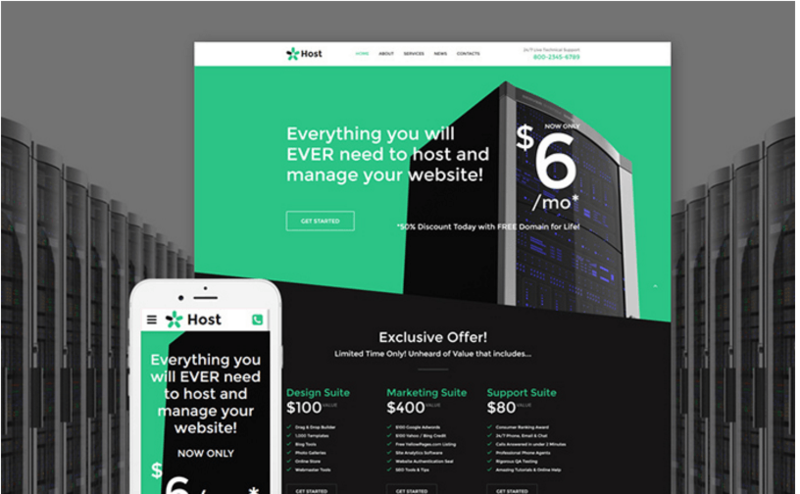 It is a perfect solution for web hosting companies as well as for marketing agencies, IT companies, and design studios. This template can boast a kit full of various UI elements. It provides engaging CTA buttons and social icons< of different shapes, counters and progress bars, tabs and accordions, etc. Violet and white backgrounds make a great contrast and distinguish content blocks. Pre-defined tables will make your pricing packages easy to compare. 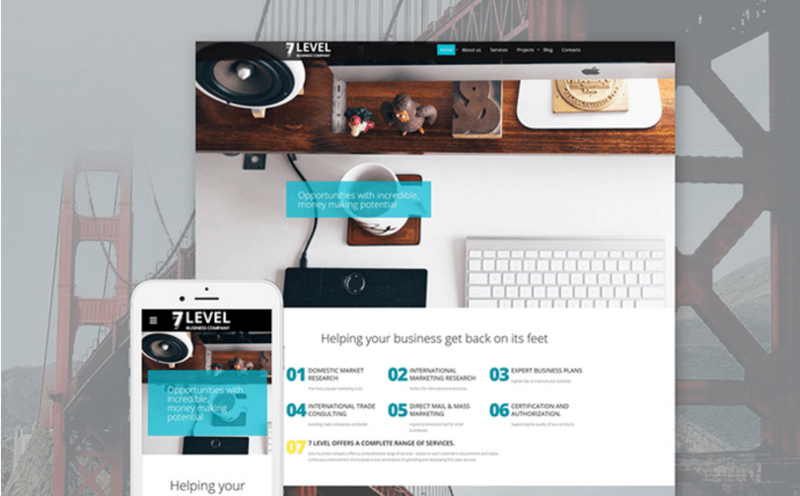 This responsive Bootstrap template will help you build a professional, easy-to-browse website for any business. The template is quite flexible, offering you two headers (centered and hamburger) and two footers (centered and minimal) and provides you various ways to present your projects and content. 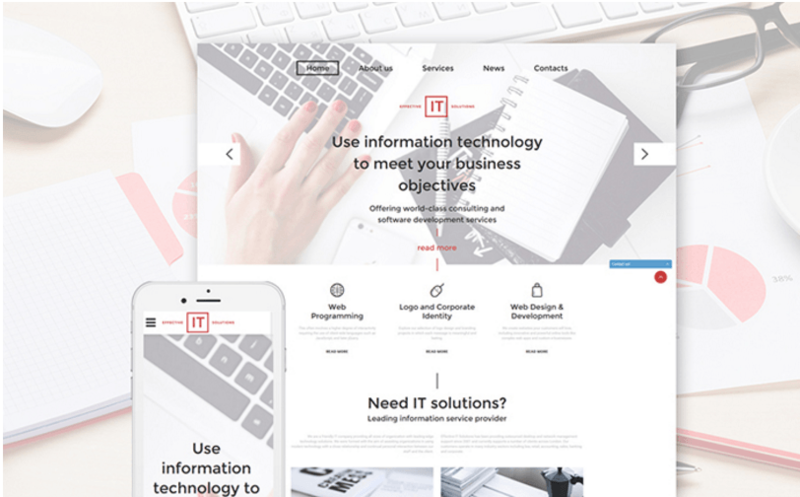 Having absorbed all the latest trends of web design, this template is a perfect match for a modern, evolving IT company. Its homepage will naturally include all information about the services you provide. A ready-to-go testimonials section is made to add your company authority and credibility. 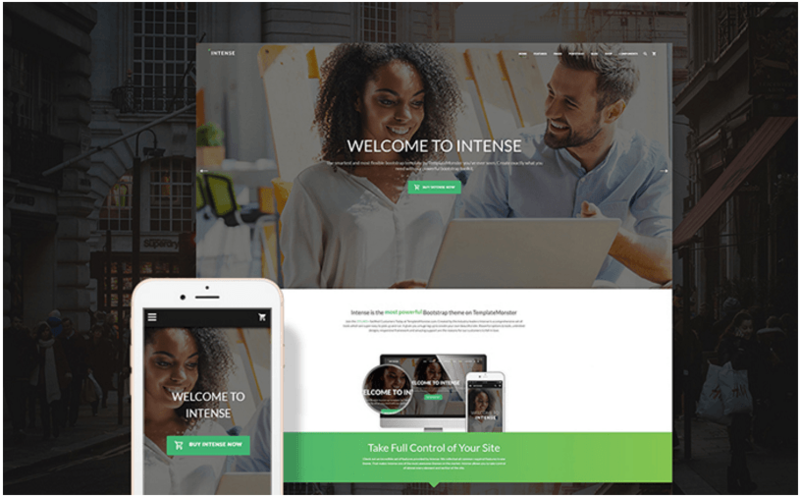 Intense is a truly universal responsive website template. It’s locked and loaded with literally everything you may think of when launching or upgrading your blog, portfolio, business website, corporate web page or an online shop. You can easily tweak its layout in a way that will perfectly match your brand identity. 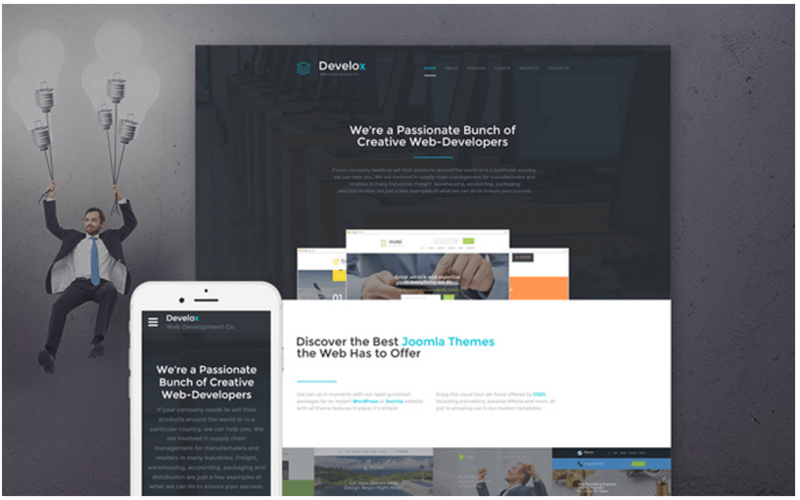 Today this theme is #1 Bestseller in HTML5 Themes at TemplateMonster. Imagine a web design company with a poor website design. It’s a disaster. Web Design Company Website Template will never bring your company down. Initially created for a design company, it can be used for almost any business out in the Web. Manager Website Template provides you endless possibilities for building a unique website with cutting-edge design. It includes a bunch of pre-designed pages that will satisfy needs of every businesses, both small and large. It boasts a spacious stick-to-the top multicolumn dropdown menu, large responsive sliders, engaging buttons, and rich typography options. The template is made for launching a profitable online business quickly and effortlessly. I hope this collection of 15 top-notch templates was helpful in your quest for the best website template. Don’t forget that website design forms the very first impression about you and your company. Great design alone contributes a lot to credibility and trust you can earn from your prospective clients. If you have any questions, concerns or hesitations about these website templates, don’t hesitate to drop line to our friendly support team. And if you think that working with website templates is a rocket science, check out our Startup Hub. You’ll see it’s pretty easy. Where to Play Soldier Games Online Free?